Some of the most memorable weddings are the ones that couples do themselves. At DIY Weddings Magazine we believe that by putting your personal stamp on you wedding, whether you are doing-it-yourself for budget reasons, or just because you want to, tells a unique story about you as a couple. 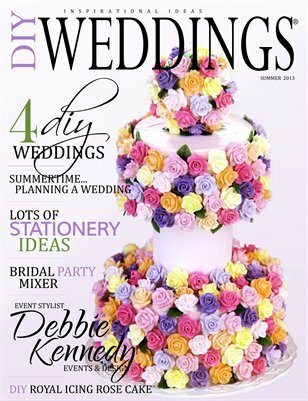 We hope you enjoy our Summer issue filled with stationery ideas, diy wedding projects and lots of inspiration.